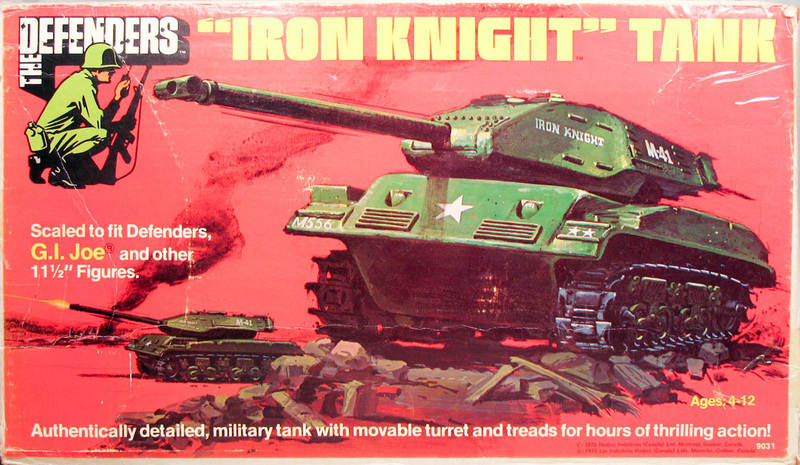 The only tank in the line, the "Iron Knight" is totally out of scale for a 12" figure, and would be better suited for Mego sized soldiers. 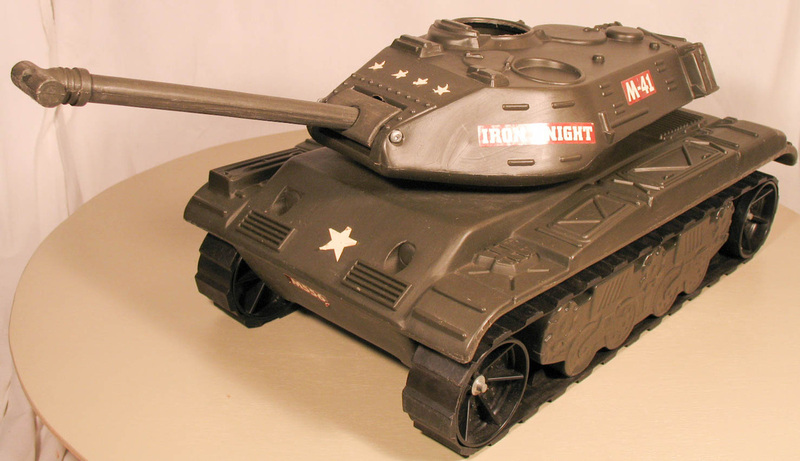 Still, it was nice to see some armor again, the first since the Irwin line from the 60s. 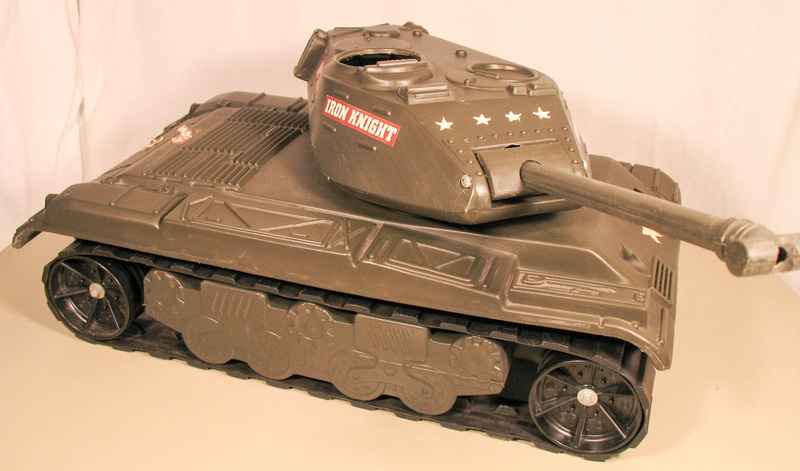 The mold for the tank likely came to Hasbro via Japanese company Takara and was also used by Palitoy in England. 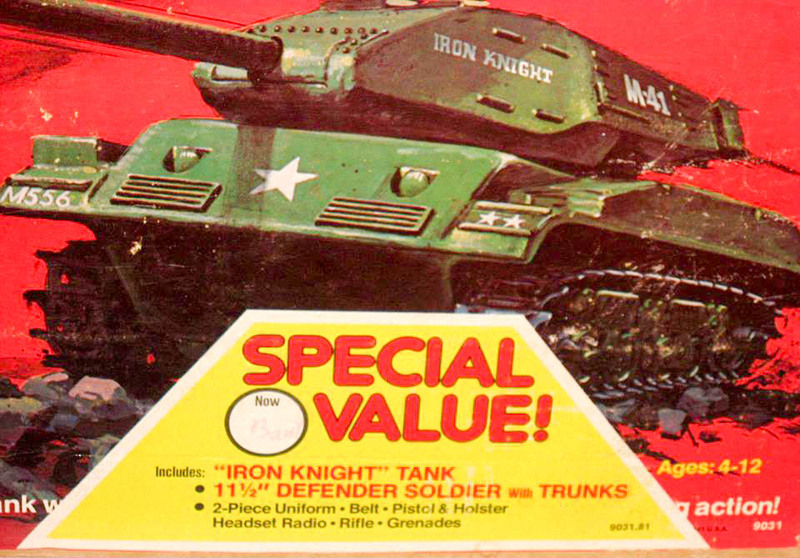 The tank was also sold as a gift set that had an applied sticker on the box noting a figure and accessories were included. If you have an example of that box, please contact me. 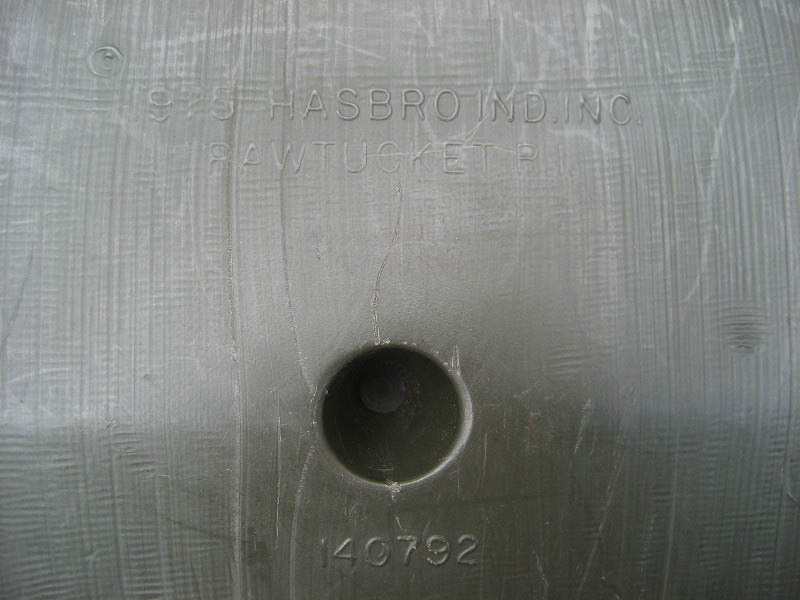 Above, the molded on bogies. 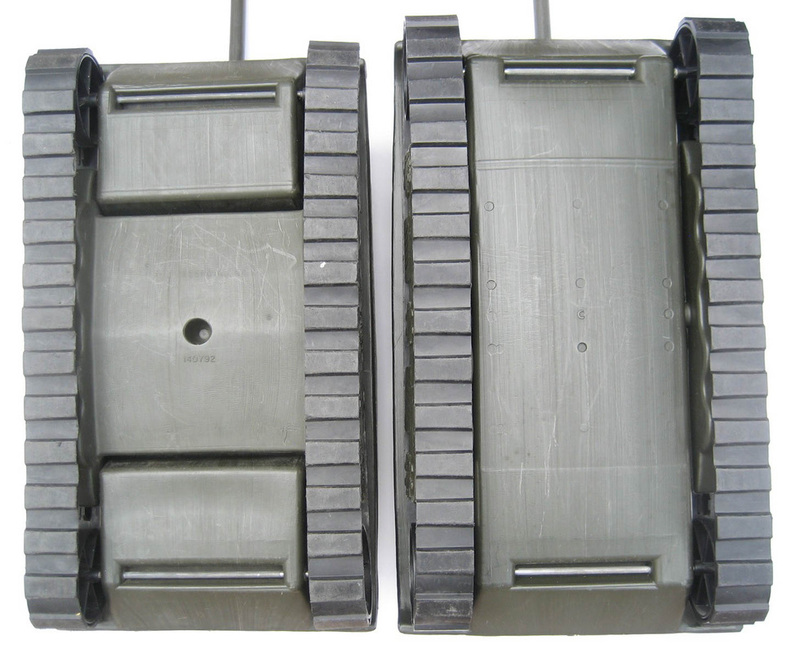 Below the ones molded as separate pieces.